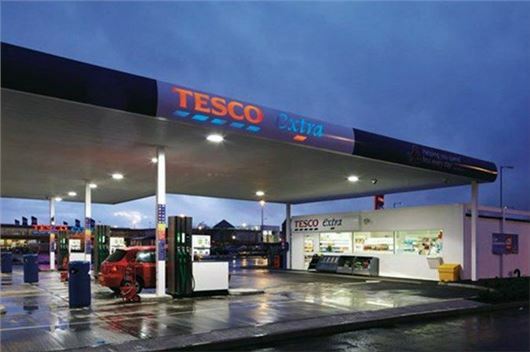 Asda, Sainsbury’s and Tesco have announced they will cut the price of fuel across their forecourts by up to two pence-per-litre. At Asda filling stations that means the maximum price of unleaded is 105.7 pence-per-litre, while diesel will cost no more than 106.7 pence-per-litre. The current average price for petrol across the UK is 112.5 pence-per-litre, at which price it costs £56.25 to fill a typical family car like a Volkswagen Golf. At 105.7 pence-per-litre it costs £52.85, saving £2.60. So far Asda, Sainsbury’s and Tesco have announced a price cut, but Morrisons is likely to follow. Tesco customers can still collect Clubcard points when filling up and Sainsbury’s customers will still be able to collect Nectar points. All three supermarket changes will have implemented the reductions by August 2.